It’s been a long break, but we are back! Episode 16 starts off with a light and personal review of Passover then charges forward in time to Israel’s 70th birthday. 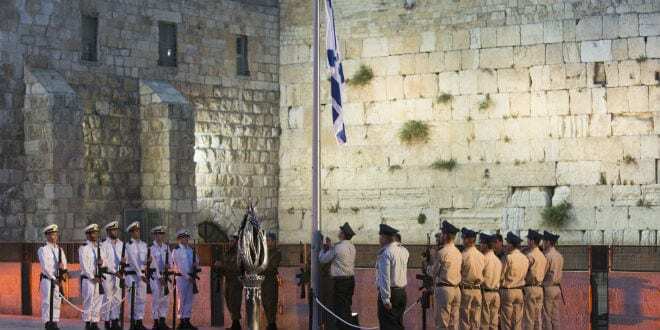 We zoom in on how Israel marks Memorial Day and Independence Day back-to-back and compare it to Memorial Day and Independence Day in the United States. We offer some ruminations about how we relate to our fallen soldiers and to the purposes for which we send our children into combat. Romping along to a big question, we also devote some attention to the passing of former US First Lady, Barbara Bush, the humanity of former US President, George W. Bush and the hawkishness of Israeli Prime Minister Benjamin Netanyahu’s policies. Ultimately, we make a distinction between “what you would die for” and “what you would live for,” and we contemplate what it means to answer those questions. This episode points backward to Episode 3: If I Am Not for Myself, Who Will Be? and to Meir-Simchah’s rant on classical liberalism toward the end of Episode 13: Religion – Education vs. Ideology. A matriarch of the Holy Madness community gets a theme song – Carol! If you enjoy the Holy Madness, there are many ways you can support the show. First, please check out previous episodes at http://www.holymadness.org and SUBSCRIBE to Holy Madness via iTunes, another podcast app, or the website itself. Second, please SHARE the show! Spread the good word to your family, friends and community members! Fourth, as the saying runs, “no flour, no Torah; no Torah, no flour.” Please pitch in on our PATREON. Fifth, Tzvi and Meir-Simchah do travel down from their mountain periodically, so if you find synagogues, churches, campuses and/or coffee shops in your area that would like to host us, please get in touch about a LIVE SHOW!